FLAC, is free, open-source format that can give you a lossless digital audio file with high audio quality as well as small size. FLAC can be played on many players but it cannot be supported on iOS devices like Mac, iTunes, iPhone, iPod, iMovie, QuickTime, etc. For playing FLAC music with Apple Devices, you need to FLAC file to ALAC first. XLD, also known as X lossless Decoder is a free software for Mac OS X that be capable for decoding, converting or playing various 'lossless' audio files. This best FLAC to ALAC converter can help you convert your FLAC audio file to ALAC format to playback on your Apple Devices. When you download and open the file, you'll see the app XLD in a Finder window. You can click on the XLD app to launch it or move it to your Applications folder. You will be presented with the preferences options. By default, XLD will output FLAC files to AIFF instead of ALAC which yields a significantly larger file size. You need to select Apple Lossless at the Output Format option from the drop down menu. And you are able to go through each of the preferences to set your preferred output here. Open the File Menu to choose the FLAC files from your local drive on Mac. As soon as you choose the files, FLAC to ALAC conversion will begin automatically. In no time, you will get all FLAC files converted to Apple Lossless. ALAC and FLAC are two different codecs for compressing digital music files. ALAC stands for Apple Lossless Audio Codec and FLAC stands for Free Lossless Audio Codec. As the names suggest, both ALAC and FLAC are "lossless" codecs which can retain all of the original sound and therefore create better-quality sound files. There is no difference in the sound quality between ALAC and FLAC although they came from two very different places. FLAC is a free and open-source codec associated with Xiph.org while ALAC is developed by Apple Inc. So ALAC is the only lossless audio codec that can be played on Apple devices like iPhone 7/7 Plus, iPhone 6/6 Plus, iPad Pro/Air 2/mini 4/mini 2, iPod touch/nano/shuffle and so on. But FLAC can be supported by Windows and Android without a problem out of the box. If you are wondering which codec to choose, it depends on the smartphone you are using. This's to say, you will likely want ALAC if it's an iPhone and FLAC if it's an Android. After the conversion, you can drop the .m4a Apple Lossless files into the iTunes folder then sync to your iPhone, iPad, iPod and more. But with X lossless Decoder, you can only convert lossless audio formats, which limits its functionality. Thankfully, there is a solution when you want to convert lossy audio file and get great, high-quality results. 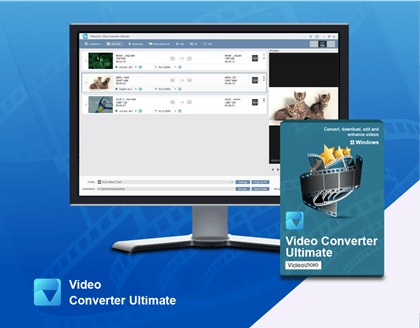 Video Converter Ultimate is converter software for Windows/Mac. It supports many usual lossy audio formats such as MP3, AC3, AAC, WMA, OGG as well as part of lossless audio format like FLAC, APE, WAV, etc. So it will be a perfect solution for audio conversion. If necessary, you can take a try with this software.